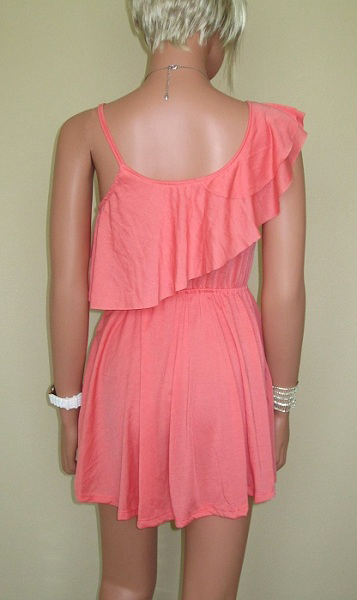 Asymmetric ruffle cotton summer dress from Thailand. 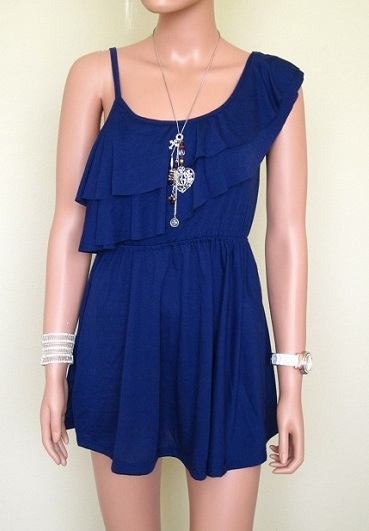 Can be worn as a mini-dress or with shorts. 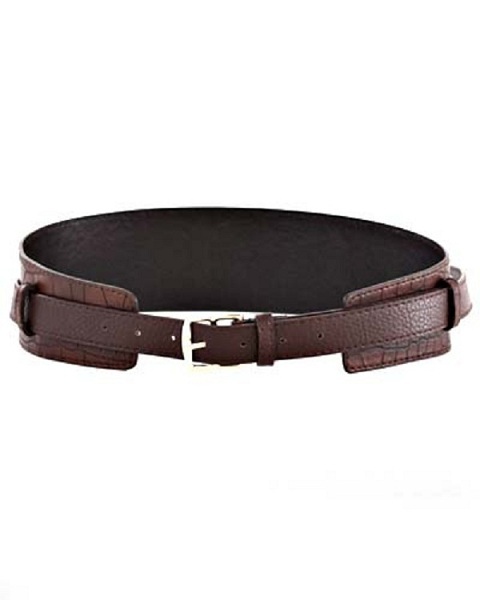 Pair it with the Crocodile Fashion Belt (found in "Accessories"). 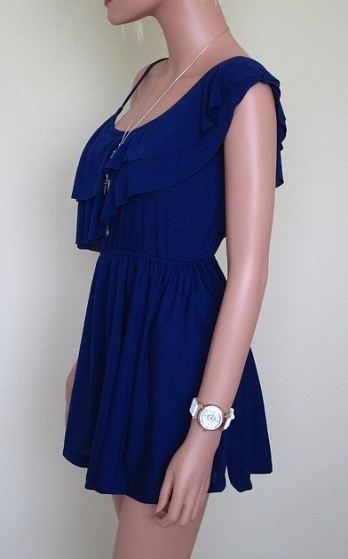 This dress is daringly mini! Available in Navy or Yellow. Black and Coral are SOLD OUT.